Selling and implementing Software as a Service is great for customers and great for you. You can securely deliver applications to anyone, anywhere, on any device with drastically reduced implementation hurdles for customers. We’ll support you throughout the entire application development lifecycle. Our SaaS solutions begin by working with your development and testing engineers all the way through to optimizing performance for your customers. Because your IT team no longer has to focus on infrastructure, they can focus on what they do best: Development. Additionally, you’ll significantly reduce operating costs. By transitioning software sales from a one-time purchase to ongoing, periodic billing, you create a recurring revenue stream. You’ll increase customer loyalty and retention, too – making this a smart business decision for everyone. When customers buy Software as a Service, they buy a subscription to an application. Rather than paying a larger, one-time fee for software, customers pay smaller fees on a periodic basis. SaaS has grown exponentially in popularity. These customers like the lower costs to start using an application, fewer maintenance hassles and the reduced risk of choosing the “wrong” application. Create Recurring Revenue: Trade a single sale to your customers for a recurring revenue stream with greater long-term potential. Anyone, Any Device, Anywhere: Serve more customers; most applications can be delivered to anyone, anywhere working on any device — users can work in the office, at home or on the road. Speed the Sales Cycle: Because the entry price for customers is smaller, you can shorten long sales cycles that require layers of management approval. Increase Customer Loyalty: You control and improve your customer’s experiences because you are in control of software maintenance – plus you manage your customers’ data storage – making customers less likely to switch vendors. 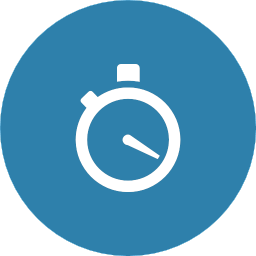 Instant Deployment: Roll out implementations in minutes instead of weeks – any customer can securely access your application without having to buy or maintain servers or hire additional IT staff. Focus on Development, Not Infrastructure: Without having to worry about the underlying infrastructure, you can free your development teams to focus on more strategic initiatives. Testing & Development Support: We work with your development team to set up testing environments for rapid testing and deployment. Ongoing Support: Ongoing support for your entire team and we’ll help resolve complex issues as they arise. Planning & Implementation: Comprehensive project planning implementation services including hardware procurement, networking, software installation, security practices and documentation. Reliable & Dependable: High availability with 100% uptime guarantee make our Service Level Agreement one of the best in the industry. Fully Redundant: Redundant power feeds, backup power supplies, multiple high-speed fiber connections and advanced core routing & switching are just part of CeraNet’s commitment to full redundancy across the entiredata center. Scalable & Flexible: Add computing resources when you need them so you never miss a moment of growth and scale down to save money when growth slows. 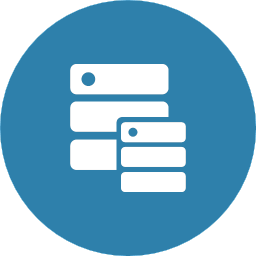 Custom Design: Custom system design, consulting and implementation – using cloud, dedicated hosting or colocated equipment – or all of the above with our Hybrid PLUS hosting give you the most economical solution possible. Optimize Performance: Our solutions are custom-designed to optimize performance for your applications and your customers’ experiences. Safe & Secure: 24/7/365 monitoring and multiple layers of physical and network security with options for intelligent threat defense and advanced malware protection. 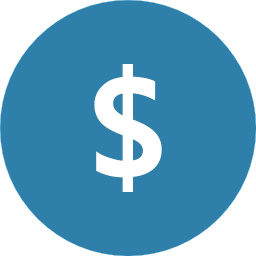 Affordable Budget: Avoid expensive hardware and set-up costs – convert expensive data center capital expenditures into affordable ongoing operating expenses. Backup & Disaster Recovery: Custom backup protection options — including automated disaster recovery processes — help you protect your application, data and customers. Phenomenal Support: 24/7/365 live technical support by phone, email or web. Access & Control: Open and accessible control panel makes it easy to administer and change resources at anytime. US-Based Data Centers: Data centers are located in Columbus, Ohio, far away from earthquakes and hurricanes.